We all know that the Royal Bank of Scotland went rogue under Fred Goodwin. What was less clear – until yesterday anyway – was that, eight years after it was saved from oblivion thanks to Gordon Brown and Alistair Darling’s £850 billion bailout package, the bank appears be no less of a rogue institution today. A data dump of thousands of RBS documents leaked to Buzzfeed News and the BBC has demonstrated that the bank had a policy of pushing small business customer firms to the wall in order to grow its own profits, increase bonuses for staff and rebuild its tattered balance sheet in the wake of its near collapse. There have been many, many credible reports such activity – essentially killing viable businesses for profit – over the past five years or so but, as the former business secretary Vince Cable told Newsnight last night, “there is now a smoking gun”. What Kremlinologists of the bank knew before yesterday was that RBS, today 73% owned by UK taxpayers, together with its sister banks NatWest and Ulster Bank, had left a trail of destruction which some have described as a corporate holocaust across the UK’s and Ireland’s small and medium-sized company base, that they had been seeking to save their own skins at their customer firms’ expense, and that tens of thousands of business customers had been affected. 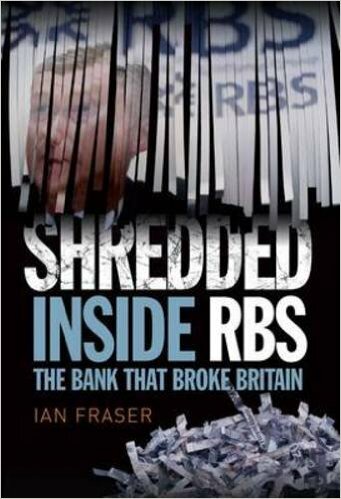 For example, I revealed in my book Shredded: Inside RBS The Bank That Broke Britain (hardback published June 2014, paperback published October 2015 and longlisted for the FT McKinsey Business Book of the Year Award) how RBS was engaged in a form of “financial terrorism” with a view to bolstering its own balance sheet from August 2008 onwards. In the book, I revealed that, in May 2009, RBS instituted a policy of cherry-picking businesses from across its UK and Irish customer base operating in sectors including care homes, pubs, nurseries, nightclubs, hotels, retail units, industrial units and farms etc. – for referral to its “vampire unit”, global restructuring group. The referrals often followed what I called “manufactured defaults”, which meant the bank engineered a covenant breach or an LTV breach either through a phoney “drive by” valuation of the customer’s property assets delivered by a tame firm of chartered surveyors or in some instances a missold swap. In the process I revealed how thousands of the banks’ business customers, many of which had been profitable and creditworthy before they were consigned to GRG in these sort of ways suddenly, through little fault of their own, found their businesses (and by the way these were businesses which were their livelihoods and which in many cases they had spent three or four decades building up) cut from under them, both through the addition of massive additional charges, higher interest rates and enforced seizures of equity. Many of the former directors for firms affected by the scandal were deeply puzzled that their own lenders – considered by many until that point to be a trusted business partner who would never prioritise its own interests over their own – had turned into quasi Mafiosi figures seemingly hell bent on their destruction, often with a view to selling their assets on the cheap to the bank’s own shadowy off-balance-sheet vehicles Strategic Investment Group (SIG) and West Register, which intended to benefit from “upside” once markets for businesses and properties recovered. They were also surprised at how the bank mis-characterised GRG as some kind of benign A&E ward or “hospital” where they would be nurtured back to health and, if they had been in difficulty, put back on their feet. What we now know for definite thanks to the investigative skills of Buzzfeed’s investigations team led by Heidi Blake and BBC Newsnight’s Andy Verity and through the courage of RBS whistleblowers who leaked the critical cache of documents, is that all the process of crushing businesses in these sort of ways was systemic, known about at the highest levels of RBS, and resulted from policies codified in detailed internal policy documents. In one it was dubbed the bank’s “Dash for Cash” project. Unsurprisingly, RBS remains firmly in denial, perhaps because it fears that admitting the truth will cost it an estimated £5 billion to £15 billion in compensating affected directors, shareholders and creditors of the tens of thousands of affected firms. In public statements, the state-rescued bank yesterday said: “A number of our customers did not receive the level of service they should have done” and “in the aftermath of the financial crisis we did not always meet our own high standards and we let some of our SME customers down.” Though in an astonishing, car crash interview with Newsnight’s Andy Verity, RBS’s conduct chief Jon Pain appeared to admit that one of GRG’s purposes was to “help businesses to get into financial difficulty” in his very first answer. Perhaps it was a slip of the tongue? Overall however the impression is the bank remains congenitally unable to face up to its past. 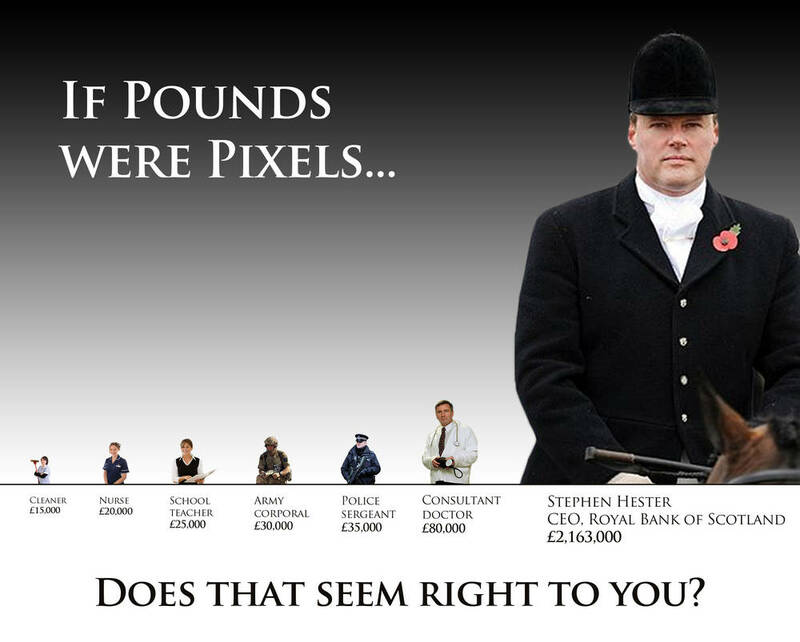 British taxpayers who saved RBS from total collapse in October 2008 deserve better than this. It’s not often I agree with the Labour MP John Mann, but I did when he said yesterday: “This is the biggest single scandal since the 2008 crisis. RBS executives will have to be called back to the committee to account for themselves and heads will have to roll.” We cannot have government-owned company rampaging around the UK massacring customers’ firms at will. It is now imperative that the FCA publishes its long delayed report into the matter (a report first commissioned in January 2014), that all the businesses that have been affected by this scandal are adequately compensated, and that the relevant authorities in the England and Wales, Scotland, Ireland do everything in their power to bring the specific decision makers within the bank to account. They need to be identified individually and prosecuted. This guy should appear before a treasury select committe and be properly roasted , feet first to the fire . I’m seriously considering severing my 50 years of connection with RBS . Let’s get a proper central bank with full reserve funding instead of the present financial dog’s brexit . I left RBS after being a customer for over twenty years a few years back and have never regretted it. Its now a relatively simple and pain free process to switch banks, well worth the trouble to take your money away from RBS and give them a message in the only language they’ll understand. The banking problem won’t be solved until senior bankers serve lengthy prison terms for these sort of crimes. I’ve read Ian Fraser’s book and it’s brilliant. I’ve recommended it on Bella before. But let’s not forget the uncomfortable truth that RBS was consistently cheered on by the SNP and particularly in its takeover bid for ABN Amro, the deal that ultimately broke the bank. When it came to the bailout, RBS’s balance sheet assets were equivalent to 2,500% of Scottish GDP, and it was Westminster who paid, not the Scottish Government. As Alistair Darling asked at the time, why should the SNP claim Scotland’s oil revenues but not its share of keeping RBS afloat? The RBS saga does not reflect well on anyone. Because oil is a natural resource located within a country’s physical territory and banks are bailed out dependent on where they do businesses rather the country they have in their name? A Darling should never be quoted as if he was a respectable, intelligent commenter. And lets not forget Darlings lies on the privitisation of the nhs – and I beleive he is still on at least one board of those many companies supplying , or looking to supply those services. Darling was at the helm for the crisis , within the Nulabour party that freed up the banks to operate as they did – its too conveint for him to sling the mud and deflect as a result. Daft comment Anton. Banking was and is a reserved issue. Whitehall had stewardship of the banks and failed miserably. RBS just beat Barclays to ABN amro which sold its soul to the Arabs and had to pay penalties for some shady dealings since. Jon Pain’s repeated claim to have seen ‘millions of documents over the past two-and-a-half years’ is worth examining. ‘Millions’ must mean at least two million, but let’s be conservative (small ‘c’!) and assume there were just two million. Now two years have 912.5 days (let’s assume he took no holidays and worked a seven-day week, such was his commitment to work). That’s 2,191.7808 documents per day. That seems a lot to read. Perhaps he worked 12-hour days, day in, day out, with no lunch or tea or toilet breaks (or perhaps he continued reading while he ate and used the loo). Dividing by 12 gives us 182.6484 documents per hour, or 3 (and a tiny fraction) documents per minute… only 20 seconds per document. No wonder Mr Pain (so aptly named) didn’t ‘see any evidence’… it must all have passed in a blur. I watched Jon Pain’s car crash interview in full and it was utterly embarrassing. You’d swear it was on a continuous loop, the literally dozens of occasions he repeated the same stock answers. I sincerely hope RBS admit their wrongdoing without legal redress being required, to partly recompense those who have suffered at the hands of this, still, rogue business. “saved from oblivion thanks to Gordon Brown and Alistair Darling’s £850 billion bailout package” should read . .
Looks like he would not see a London Bus unless it smacked him in the face. More lawyers running the show, denial, blatant denial hide behind not seen despite being shown the documents before our very eyes. I suggest that the RBS Shareholder Action group requisition a resolution to appoint their own Directors and remove those denialists. High street banks are only part of the overall problem. Much of Scotland’s former public utilities (energy, water, ports, airports etc) are now owned by offshore private equity funds put together by ‘financial engineers’. These entities are designed not to be transparent, and are highly leveraged deals, transferring enormous debt from acquisitions on to acquired businesses, with their ‘viability’ dependent on exploiting monopolies our politicians give them. Acquired firms need to impose high charges on users to repay high debt interest, meanwhile we don’t see very much in the way of new infrastructure investment. It makes for a less competitive economy overall. And it is not a sustainable long term ‘model’, something has to give eventually, e.g. outdated infrastructure, constraints/fall in demand/revenues etc. Not really surprised to see Keith Brown and the centrist SNP Gov cosying up to private equity. They should actually be ‘regulating’ these ‘actors’ out of the economy, before there is nothing left to salvage. We need to have Laws governing how and under what conditions you use Scotland in your company name – and not just a head office plaque here. I closed my account in 2008 – after being with the bank since 1969. Goodwin still raking in a good pension though, and we as taxpayers have to foot the bill for his legal fees! Actually, it has everything to do with the Scottish Government – or at least the SNP and Yes movement in particular – by association. It is one of the many reasons some in the know, voted No to independence. 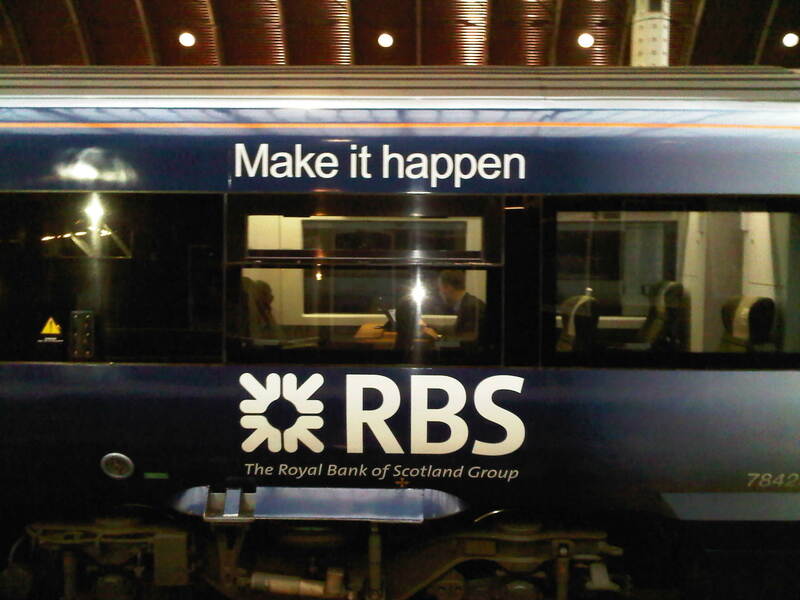 The article focuses on Goodwin, but the real change in culture of RBS came earlier with his mentor – Sir George Mathewson – long time SNPer and Royal Deeside branch guy, continued supporter and donor to the Yes campaign. Typical BellaC article that spins and deflects any responsibility towards the SNP. Find it had to believe Mathewson is not mentioned here. Mathewson, Salmond and ‘business’ chums were the real power brokers behind the Indymovement, not your ‘grassroots’ pensioners and national collective types. They knew that to prevent any possibility of a left of centre UK government under Labour (in the Miliband mold) that would regulate banks splitting and the savings and investment roles, that had a commitment to close BRITISH offshore tax havens – which would still be used by an Indyscot, and regulate corporate transparency would destroy their vision of independence. i.e) the potential of having a major world investment bank RBS at the centre of a de regulated secretive system – this was their vision for the economy and society, to create a deregulated small ultra neo-liberal country with banking like Switzerland, with low corp tax for mobile businesses and at the center of global banking casino capitalism. In exactly the same way Tories in England want a de reg London city state and Brexit. And both the Scottish and English/ Welsh working classes were manipulated using identity politics and false promises to this end. What is not mentioned in this article is the more telling issue. There was a post reflecting this but it has disapeared. I guess Mike Small censors inconvenience truths. All of this is in the public domain. The truth is that one of those at the center of the 2008 overexposure to overdrive investment banking/ casino capitalism was Sir George Mathewson – the chairman of RBS appointed in 1992. He appointed Goodwin (despite his lack of banking experience) and changed the culture of what was once a respected and trusted savings bank. He sacked 100s of employees who opposed his ‘reforms’. What Bella Caledonia are careful not to mention is that Mathewson was and is a long standing SNP branch member/ supporter, associate of Alex Salmond and was a significant donor to the YES campaign. Many more astute and knowing No voters (who worked in banking) knew this and questioned the ‘grassroots’ working class agenda. What was objected too was/ is the clear possibility of an extreme neoliberal state (so much easier in a small country) with very low corporation tax with a major bank like RBS that could position Scotland/ Edinburgh at the center of the global banking industry. Essentially in cahoots with the neolib Tory Brexiteers South of the border. The biggest threat to a center left social democracy was/ is a unified UK with a center left government – Milliband basically, who would have introduced a strict regulatory division between casino investment banking and saving banking, who would have closed overseas UK dependent tax havens, and who would have developed a low interest national savings bank for SME investment. But nationalism is nationalism is nationalism. English or Scottish, those who are manipulated will always remain at the bottom, whatever the outcome. No censorship here Johnson – thanks for your comment. We are not affiliated to any political party. I can can confirm I was not censored nor did I engage in any self-censorship. Whatever George Mathewson on did as RBS CEO (a job he held from 1992-2000) is largely irrelevant to the current GRG scandal. I would also argue that the political views of former and curent RBS directors had very little bearing on how they actually ran the bank. Interesting couple of factoids there! Title: Would you like anything in your Independence? Aye, mair independence. Intro: Even before we become independent has the SNP sold out Scotland, to The City of London? I sincerely hope not, and not just because I voted SNP, but a little red light of unease has been blinking in my mind since February 2015 when I inspired an MSP with my ideas and helped her to formulate three carefully crafted Parliamentary Questions on SME financing and banks. Here is the piece published on this site, although we had some formatting problems which made some parts rather confusing to read! But it doesn’t seem likely that there is any pro-SNP bias from Bella. Question what are our elected representatives doing? not a lot from what I have heard/seen. At the end of the day life’s tough. Big beasts eat little beasts and the little beasts do nothing about it. Welcome to the UK. Perhaps there’s room here to discuss both a remedy and a preventative. If, as I propose, we dynamically set bankers’ top-rate income tax to 10 times the percentage rate of unemployment, and make the bank-levy the cost to the State of paying Jobseekers Allowance, this would “force” banks to provide honestly priced finance to SMEs. If we’d done this in late 2008 when the idea first occurred to me, bankers’ top-rate of income-tax would have been around 80% from June 2009 until June 2013 (peaking at 84% in December 2011). I’m certain there are more than a few engineers who frequent these pages, they will tell you this is a feedback mechanism. Ian described this idea as “too simplistic”, I hope someone can explain that simplicity is the beauty of a feedback mechanism, and to make this a reason not to do it shows a fundamental lack of understanding! Do you really think that RBS’s GRG unit would have been instructed to destroy peoples’ entire lives if the bosses had felt a fiscal consequence to increased unemployment? Would there have been an industry wide directive to cut off virtually all funding to all SMEs in certain sectors? The most valuable people in the banks would have become those not best at ripping the wealth from SMEs but those best at actually growing SMEs. Imagine a bonus structure in GRG which rewarded an increase in SME employees. Remember, as Mervyn King said, only SMEs were reliant on banking, big businesses were more credit worthy than the banks and could get funding by “issuing instruments” themselves. So that’s the preventative, but it is also a remedy. SMEs are still denied funding or ripped off in price for funding. The banks are still actively inhibiting economic growth. Unemployment just now is around 5%, which translates to 50% top-rate tax, and a bank-levy total of £3billion. This is still enough to induce the banks to support the real economy instead of sabotaging it or chasing funny money in the derivatives markets. Ian was correct in only one sense of the “too simplistic” charge – the feedback mechanism shouldn’t only be dependent on unemployment. What if we set the bank-levy total to the cost to the State of paying Housing Benefit? I suggest we’d suddenly see great cries go up from the banks to build affordable homes. My proposal would see dynamic adjustments to these taxes every month with ONS release of Labour Market stats. Can I deflect for a second , but still related to banking. Somehow Ireland has recovered , and is the shining light in the EU we are told , they choose a different route to both UK and EU direction . However that was at the cost of banks being thrown to the wolves and assets (housing)offered for highest bid – of course as well as further assets bulldozed on top , meaning lowering supply. Back in 2010 2011 , this meant the likes of whole near finished estates , numbering up to 100 houses , for as little as 125k Euros – no not per house , for the lot , a fire sale. It was also not unusual to see at auction large new build homes going for sub 35k euros , for an acre and 300m2 build . This was when the pound euro rate was at parity or therabouts. The celtic tiger may have been dispatched , but in its place is the phoenix. The Uk though choose to bail out the banks , created a bad bank where non mortgage assets , ie bank debts were paid for the taxpayer. On top of this it milked those it deemed good enough to be bailed out into Govt security of Bank debt insurances , profits made for HMG , and of course back then had an 82 percent stake in RBS. That stake is now reduced slightly , at a loss we are always told , now on hold , but how has govt holdings been falling without any announcement of where those shares have went should be a question in the media. This is important as today , with a lower pound value , it should mean a good reason for those outside the UK , investors , sovereign wealth funds , pensions , banks to hoover up shares – then strangely along come bad news , making that hoover bag hold a lot more. There is still a major banking problem on the Continent , in that a similar bank preservation thing has happened , yet banks have not been made to sell off mortgage assets and property to the highest bidder to create liquidity , and have been receiving the likes of QE and IMF bailouts instead. In fact the banks still get loans on these assets , keeping them inflated. Instead they offer the cream to the few outwith the open market at large reductions , and to the rest (the public)they offer 100 percent guaranteed mortgages at inflated values – you know sub prime II. The largest affected here is Spain , then Portugal , but as there is large loans held by other EU external banks are also affected , ie German banks , so there is no cry for change…. no demand for assets to be sold off to the highest public bidders. Thus instead austerity is invoked to pay for it. While much is made that casino banking created the crisis , it was also based on housing , specifically primarily sub prime , where the casino banking was a secondary reasoning – yank banks simultaneously selling mortgage debt and betting on it failing etc. Ireland may have had the right answer then. The UK , EU , still no light at the end of the tunnel. NatWest have brought me so close to death on so many occasions. My mind is so fractured by the severity of losses then ongoing employment discrimination that I have gone beyond PTSD. I am convinced they networked through employers, even pointing me. I now have cancer but The radiotherapy is a holiday compared to what they have done to me. http://www.wakeup.ml tells the story. The SNP should demand that the RBS should be transfered to Scotland’s ownership and it should be from there, we mint the Euro, as our currency , England has no problems accepting it ,but always had a problem with the Scottish pound, we also have a private bank in the Airdrie bank and it should be encouraged in its use for Scotland Scotland has amassed fortunes and it should be our duty to protect it, and make our wealth, the stepping stone for every one, that in this malenia and the next ,no one goes hungry ,and lives on food banks all for one and all for one, people allowed so sit with wealth of the radar is not right and businesses should not be allowed to earn any more than 2 1/2 % total profit per year.